Journalist Sarah Greene (playing herself, as does much of the cast) and her crew report live from the home of a divorced mother and her two children. The family claims that their home is haunted by a poltergeist the children have named Pipes. 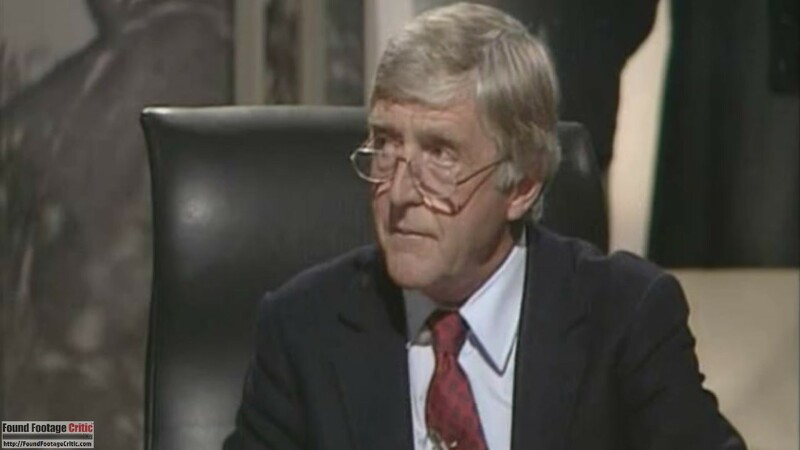 In the BBC studio, host Michael Parkinson (Michael Parkinson) interviews parapsychologist Dr. Lin Pascoe (Gillian Bevan) who has been investigating the haunting. Throughout the “show,” the two take calls from viewers at home , reporting their own experiences of the paranormal. What starts off as a seemingly normal program shifts when Sarah and her team seemingly capture evidence of the paranormal. All the while, viewers call into the show to report strange phenomena occurring in their own homes as they watch, the girls begin acting strangely, and the morbid history of the house gradually unravels. Ghostwatch was the result of a collaboration between writer Stephen Volk, director Lesley Manning, and producer Ruth Baumgarten. Stephen Volk, a horror screenwriter and novelist, originally pitched a six-part traditionally-filmed series following a group of paranormal investigators. When producer Ruth Baumgarten turned down the idea, Stephen Volk reworked the concept into the single mockumentary-style episode. Lesley Manning was selected to direct the film, having previously worked on TV dramas, though Ghostwatch was her first foray into horror. The program was ultimately aired as part of BBC’s drama anthology series Screen One. It is interesting to note that female writers and directors of found footage films are far and few between—even more so than in general horror. 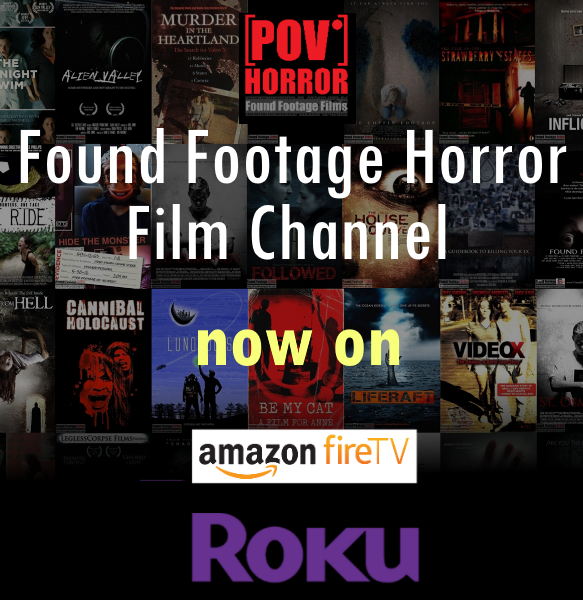 Nonetheless, one of the earliest and most influential found footage horror films was in large part created by two women and features numerous well-rounded and compelling female characters. When Ghostwatch first aired, the program gained instant notoriety. 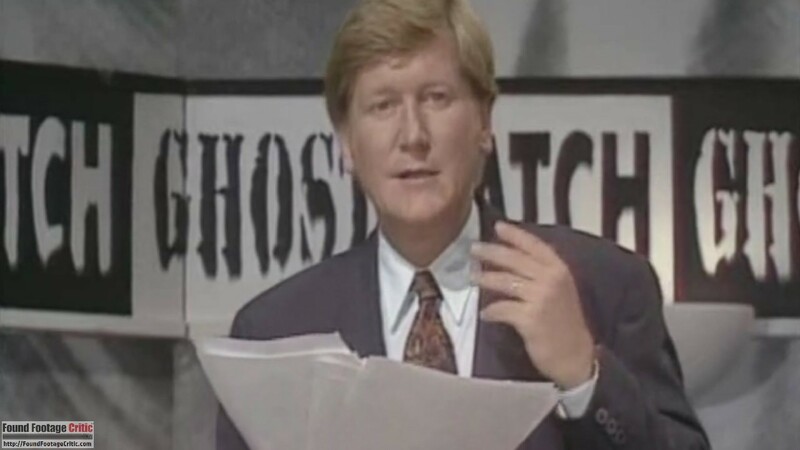 Although Ghostwatch was broadcast as part of an anthology of fictional TV movies, many viewers thought the paranormal investigation they were watching was a documentary, provoking public outrage when the truth was revealed. The controversy eventually reached the point where government regulators intervened, the creators were forced to apologize, and the BBC officially banned the film from broadcast for a decade. Ghostwatch is not the first film to raise controversy over its perceived veracity. In 1940, Orson Welles’ radio adaptation of H.G. Wells’ The War of the Worlds allegedly caused widespread panic, with listeners fooled by the news broadcast conceit of the radio play into believing Martians were actually invading the suburbs of New Jersey. Over the decades since Welles original broadcast, the actual impact of the famous radio play has been exaggerated to mythical proportions. Yet, the controversy swirling around this early example of “found audio” demonstrates how people can be made uncomfortable when the line between fiction and nonfiction is blurred, even when the intent isn’t to mislead. This was certainly the case with Ghostwatch. As stated earlier, Ghostwatch is an episode in a dramatic series and was even advertised as such in prior to the broadcast. 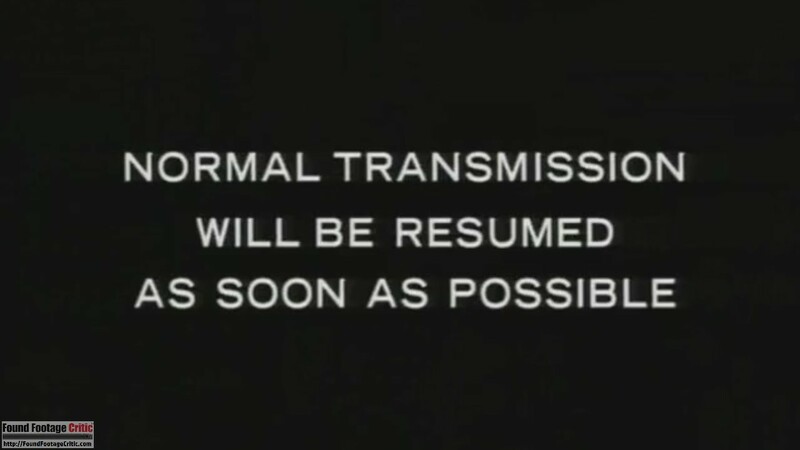 On the BBC’s insistence, and in a similar vein to the original The War of the Worlds broadcast, Ghostwatch included a disclaimer in the opening and closing credits revealing the fictional nature of the program. 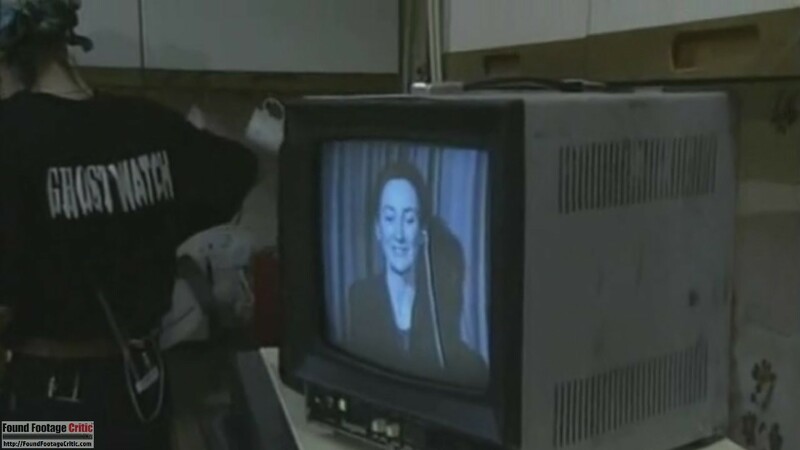 However, for viewers who missed the credit sequence, the program contained no clear indications that what viewers were watching was a work of fiction. The Ghostwatch cast is portrayed by actual journalists and TV personalities playing themselves. Michael Parkinson (now Sir Michael Parkinson) was a famous and well-respected talk show host, having worked in television since the 1960s and hosted his own show, Parkinson, from 1971 to 1982. Sarah Greene also had a lengthy career as a TV host, including appearing on the long-running children’s show Blue Peter. TV and radio personality Mike Smith (Greene’s husband) and actor/comedian Craig Charles also play themselves. 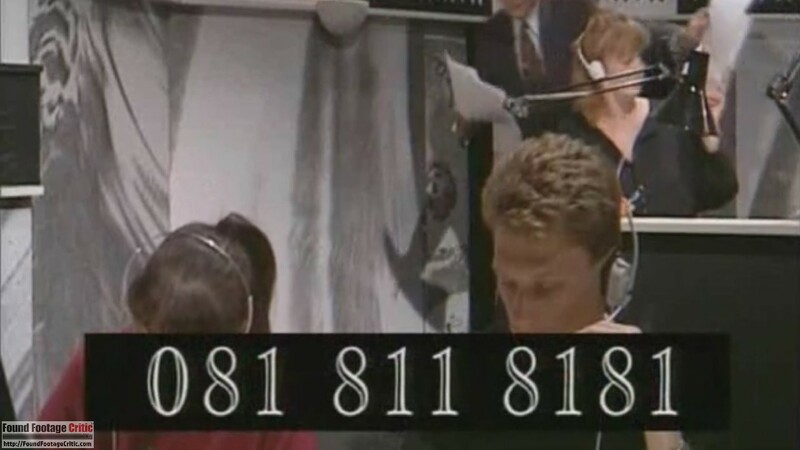 Ghostwatch presents an on-screen phone number for viewers to call in and report their experiences of the paranormal. At the time of the program’s airing, the phone number was real, and viewers called the number were informed that the program was fiction. On Halloween night, though, the volume of calls was so high that the phone lines were jammed, and most people who called never heard the message. 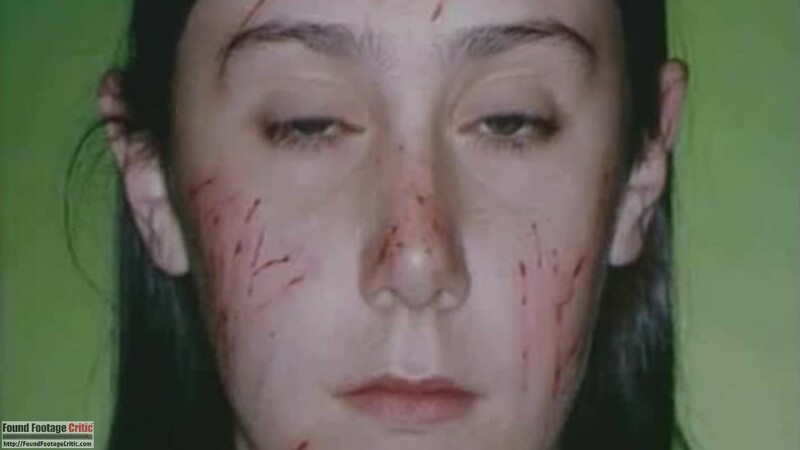 Many viewers took the film for what it was: a creative and effective horror story. Others, however, took offense at being deceived by trusted names and faces. The airing of Ghostwatch was followed by numerous reports of children suffering sleepless nights; this in spite of Michael Parkinson’s numerous announcements that the program was not for children and the fact that the program aired after the watershed allowing more mature content to be broadcast. There unsubstantiated claims that nine pregnant women were startled into labor by the program. The BBC was flooded with complaints that Ghostwatch was too frightening and that the network failed to sufficiently notify viewers that the program was fiction. Stephen Volk, Lesley Manning, Ruth Baumgarten, and others were forced to apologize, though they maintained that they had no intention to mislead audiences and stood by their work. Sarah Greene appeared on a children’s television show to assure young fans that she was all right. Five days after the broadcast, an intellectually disabled young man took his own life. He was allegedly traumatized by Ghostwatch and unable to understand that the program was not real, even after the the fictional nature of the show was widely known. The parents’ complaints led the Broadcasting Standards Commission (then the agency regulating broadcasting in the United Kingdom) to officially chastise the BBC and the makers of Ghostwatch for what they determined their irresponsibility. The BBC placed a decade-long ban on the rebroadcast of Ghostwatch. 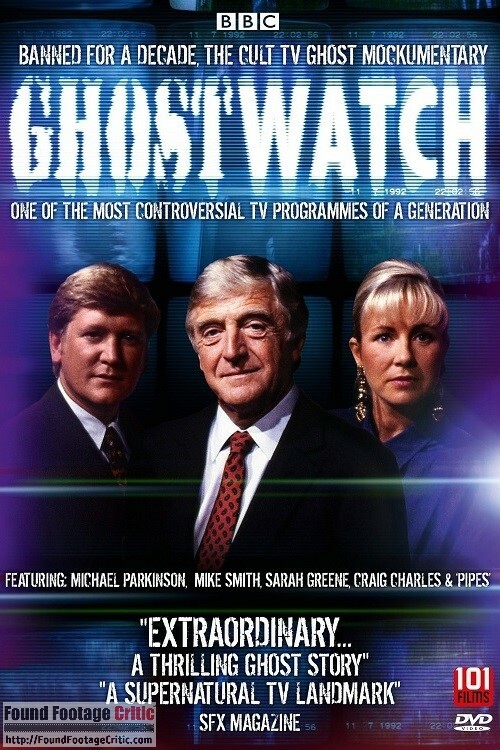 It wasn’t until 2002 that Ghostwatch was released on VHS and DVD, twenty years after the show’s first public broadcast. In 2013, a documentary was released called Ghostwatch: Behind the Curtains, featuring the original cast and creators and chronicling the making of the film and subsequent controversy. Ghostwatch is filmed using a combination of professional news cameras and fixed surveillance cameras. Typical of an actual news broadcast, the cameras and camera operators often make on-screen appearances. The cinematography is consistent throughout with what would be expected from experienced documentary cameramen. The cameraman and boom operator are played by an actual cameraman and sound professional, rather than actors, which adds an additional sense of realism. The broadcast flows like the well-oiled machine of a seasoned film crew—which is actually the case. Ghostwatch also utilizes infrared filming to capture paranormal activity. This technique is noteworthy in that Ghostwatch was created before the proliferation of night vision technology and may be the first found footage film to shoot in non-visible light. The filming reason is often the linchpin for found footage film credibility. Ghostwatch’s filming reason is patently obvious and equally as solid. 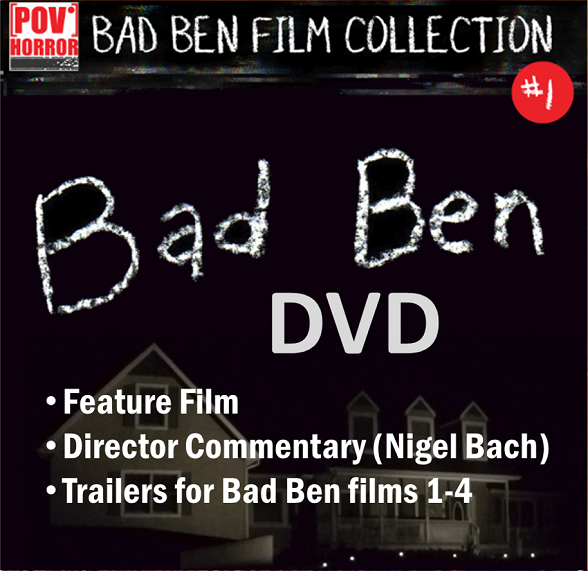 The program is shot by a heavily manned film crew investigating an allegedly haunted house. The combination of fixed surveillance cameras and handheld video cameras in concert with the battery of people monitoring the broadcast removes any true sense of danger or lack of available resources that would negate the continued filming of the event. 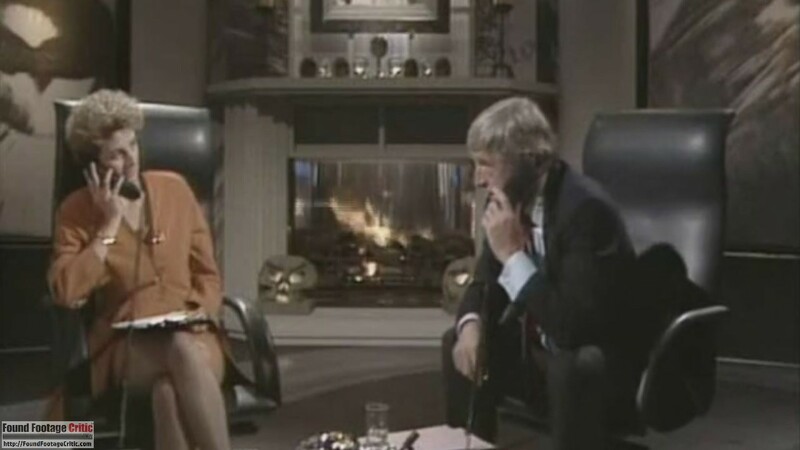 Michael Parkinson and Dr. Pascoe are filmed in a talk show-style studio. Several handheld video cameras film from the street outside the house. At least one handheld camera operator follows Sarah inside the house. Further, remotely-operated surveillance cameras set up at strategic points inside. The believability of the characters’ continued filming is never truly challenged throughout the whole program. Even when the situation gets dangerous, Ghostwatch never strains disbelief that the characters wouldn’t drop their equipment; and, when their safety is in immediate peril, several characters do drop their cameras. 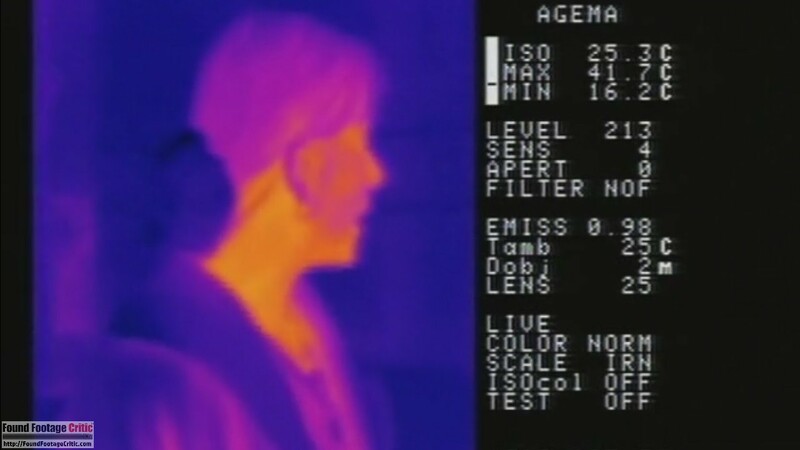 Late in the third act, a camera’s infrared vision is used to see in the dark, giving a character who isn’t a professional videographer a reason to hold onto the large, bulky camera. Ghostwatch hews very closely to the found footage premise it is based in. From a cinematography perspective, the film doesn’t contain a single shot that deviates from the TV documentary conceit. Even in the early days of found footage and mockumentaries, while Ghostwatch was unwittingly helping to establish a new genre, the film avoids the pitfalls that many modern found footage films fall prey to. While Ghostwatch is near perfect in the maintaining found footage conceit, there are a few visual elements that may strain credibility during the climactic ending of the film. 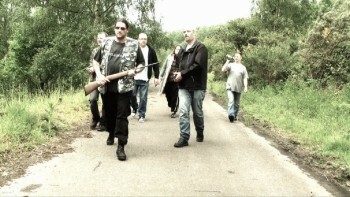 Some of the overtly paranormal events that take place in the latter part of the film might come across as too over-the-top for the tastes of some viewers. The acting in Ghostwatch is roundly excellent, with no weak links in the cast. While it is unsurprising that the actors, all portrayed by actual journalists and film crew, are convincing in reproducing the natural, but slightly stilted, patter observed in actual news specials, they also successfully demonstrate these professional demeanors start to crack as the situation grows more strange and intense. Of particular note is Michael Parkinson’s performance. His portrayal of the host’s breakdown as he loses control of the situation is frighteningly believable. Seeing characters who appear comfortingly confident grow uncertain and vulnerable can be unsettling, especially to viewers who believed Ghostwatch was real. The actors not playing themselves are also delivered exceptional performances. Brid Brennan (Pamela Early) plays a frightened woman stressed to her limit, trying to protect her children. Michelle and Cherise Wesson (Suzanne and Kim Early respectively) are talented child actresses. 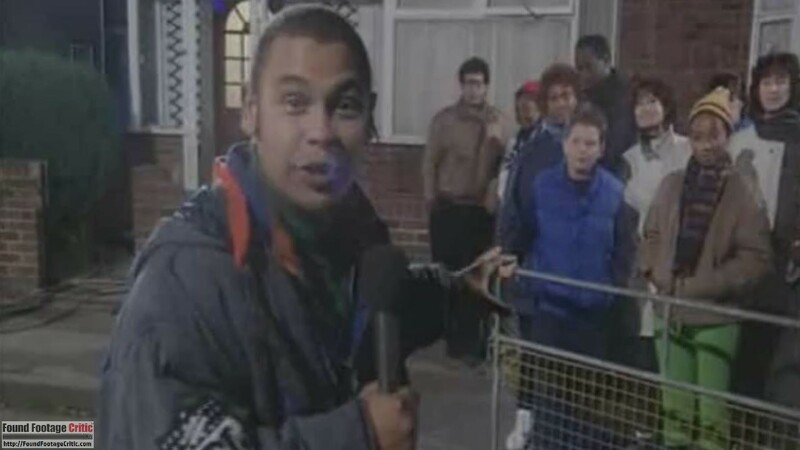 Craig Charles (best known for his role on Red Dwarf) plays a somewhat unflattering version of himself, as a comic personality hired to add color to the coverage. He is relentlessly tactless towards the neighbors he interviews. The voice actors portraying viewers calling into the show also turn in great performances. Ghostwatch does a superlative job of slowly and deliberately building tension as the story evolves. In the beginning, the tone is rather sedate and even light hearted. Any evidence of the paranormal is kept vague and ambiguous. The program hosts laugh and banter, a tactic likely to genuinely lull viewers into a false sense of security. Only gradually do more disturbing and convincingly paranormal events occur. Sewn throughout the story are twists and sources of doubt. Right to the very end, viewers are left to decide on their own whether what they are watching is real or staged. The film succeeds in building a strong narrative, while also not appearing artificial. At its core, the plot is a very standard haunted house story. However, the unique presentation and strong performances keep the pace brisk and compelling. The climactic ending is a punch to the gut and one that viewers may find unsettling even though this is most decidedly a work of fiction. Ghostwatch ends without offering any firm answers, leaving the fate of several characters up in the air. And yet, the ending isn’t frustrating or unsatisfying, because the footage ends organically, as one would expect given the circumstances under which events unfold. As of this writing, Ghostwatch is celebrating it’s 25th anniversay. For it’s time, the film was innovative in it’s technical approach and blending of fiction with reality. Ghostwatch is not only a historically significant film within the found footage genre but also an entertaining work of art that stands the test of time. GHOSTWATCH is a horror mockumentary which first aired on BBC1 and is one of the earliest examples of found footage. The film continues to stand out for its excellent acting, well-written tension and scares, and a level of realism that sparked a nationwide controversy.